Mr. Brock stated that West Chester Holdings is looking to expand and referred Council to an incentive policy that the Development Department put together. If you look at the incentive policy, I do not think we would offer an incentive for staying in town. With the economy the way it is, it is good to keep as many businesses as we can. Staff worked hard on putting together the information and would like Council’s intent. As a point of interest it was not due to incentives and it is what impact businesses have. One of the bigger item that Diversapack affected the City is their water usage. Please review the incentive policy and with the re-evaluation Mrs.Waggaman put together; it is not negatively affecting what our property taxes will be. Mrs. Rubin pointed out that West Chester Holdings came here when their abatement expired in West Chester and now it is expiring here. Mr. Brock indicated that we are not looking at companies that are incentive jumping. Mr. Black asked what kind of information is Mr. Brock seeking from Council. Mr. Chesar stated the company representative has asked if Council is interested in giving any type of incentive. "Originally they were given a 10 year 100% abatement that lapsed in 2009"
Originally they were given a 10 year 100% abatement that lapsed in 2009. We know their lease is good on the building until 2014 and they have advised that they intend to expand or relocate. They have been offered incentives in Sharonville and Northern Kentucky. We typically come to Council to see if there is an interest to offer an incentive and then work out the final details. We have given them available sites in the City. They need a 35% increase in size. They are looking at 203b Garver Road, which is not eligible for a property abatement. Our abated properties in town were build to suit. The IDI property would not meet their needs. The Corridor 75 site was not priced competively. It is difficult unless they have some type of offer somewhere else in town because they are not available or eligible for incentives. Mrs. Rubin is more interested in seeing them taking an existing building rather than building something new. 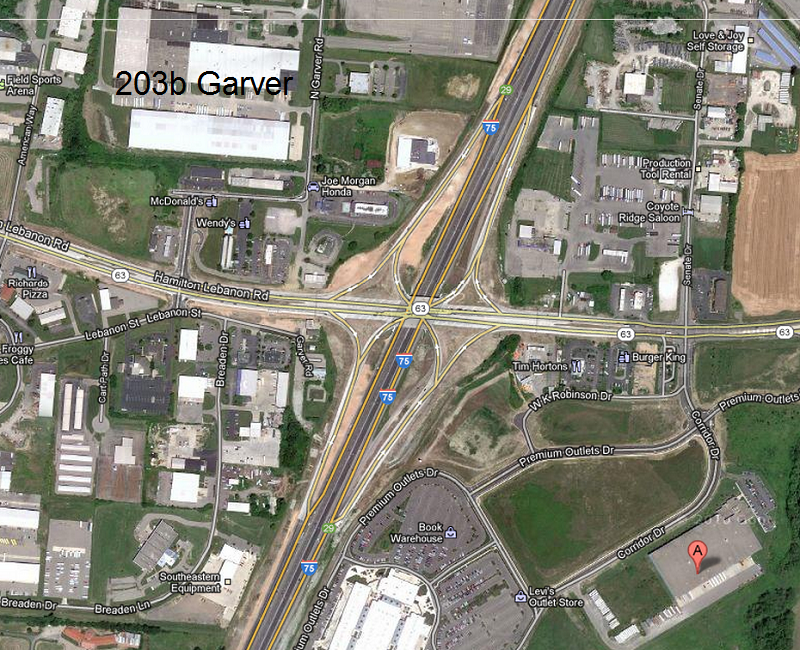 Mr. Chesar advised that 203b Garver would meet their needs even though it is an older structure and it is priced competitively, but it is a company prospective. We requested employment numbers and they would like an answer as soon as possible. School District approval would be required. Mrs. Stillman referenced 122 positions and asked for an average wage or what our income tax is. Mr. Chesar replied that this past August was their second business sales in history. Out of the 122, 51 are office, 46 warehouse, and 25 are temporary employees. If you average that out, it ranges from $40,000 a position to the upper $50’s as of last year, but that is due to workforce goals. Mrs. Stillman wondered what is to say they are not going to jump again, the economy is bad, and we would like to keep them here. She would be interested in looking at the numbers. What are the employment numbers for the last couple of years and their property tax. Mr. Chesar noted they are projecting a 35% increase in business over the next five years. Mr. Black asked if an expansion to their existing facility would keep them here. Mr. Chesar advised them they would need Planning Commission approval to expand. Mr. Black would rather not see them build a new building but use an existing one. Mr. Brock indicated that we will put some numbers together and come back to Council to assist Council in its decision. In reference to the policy, Mrs. Stillman expressed concern with the claw-back language as it doesn’t seem to do any good if they are going out of business. We have no recourse in most cases. She would like to see if other cities have a better way of handling it. Mr. Hickman felt that we should let them go. Every business is going to use that every time the abatement expires. We want a business that is planning on staying here. This town is going to boom when this economy breaks loose and we should not have companies twisting our arm to stay here. Mayor Routson would like to see additional information before making a decision.